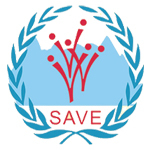 Having realised there is an urgent need to develop volunteer service in Sabah, a group of concerned individuals took action to form Sabah Association for Voluntary Effort [SAVE] which was subsequently registered as a non-profit voluntary welfare organization on 10 Jan.,2001. It was officially launched by Y.A.B. Chief Minister of Sabah on 24 Feb.,2001 at the Shangri-La's Tanjung Aru Resort, Kota Kinabalu.